The A47 was shut at Guyhirn this afternoon, Friday May 19, as emergency services tried to locate a man in the river. Officers were called to the scene at 12.15pm due to concerns for a man. The road was shut between Guyhirn and Rings End at 12.50pm. It reopened at 2.45pm after emergency crews ended their search for the man. A police spokesman confirmed the man had not been located but further details were not available at this time. 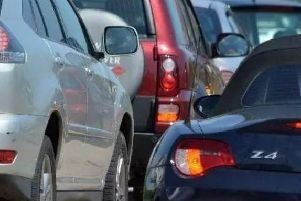 A minor collision was also reported in the traffic queue that built up due to the road closure and traffic was described as being very heavy on the A47 and A141 around the incident.